· Shane Watson: Was one of the rare Australian batsmen who looked comfortable at the crease, till the moment he kept getting out. Unfortunately for him and the team, it was always after he got a start. He was the 2nd leading run getter for Australia with 435 runs at an average of just over 48, but the fact that he didn’t score a single century in 5 tests should give pause to those who think that Watson is a long term prospect as an opener. · Simon Katich and Phil Hughes: Katich never really got going despite a typical crabby 2nd innings at Adelaide, before injury ruled him out for the rest of the series, and possibly ended his career. Phil Hughes was the shadow of a batsman he was when he made his debut, and he was a horrid replacement for Katich, with his technique laid bare upon stern examination. He might still have a bright future ahead, but he has lots of work to do. 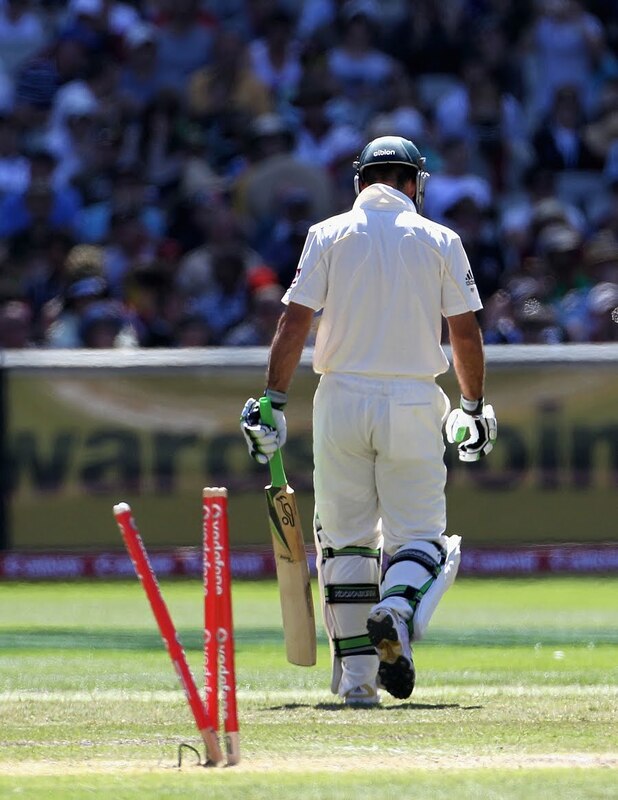 · Ricky Ponting: The strain of becoming the first Aussie skipper to lose three Ashes series resulted in a public meltdown at the MCG. It was sad to see a great player disintegrating before our very eyes, and even as he trudged off in the 2nd innings of that Test after getting his stumps splattered, one could sense that it was probably his last Test innings. He had a terrible series, where he was outscored by Peter Siddle and had only a solitary 50 to his name. The only good thing that happened to him this series was that he didn’t have to be present at the SCG as the losing captain, when Strauss lifted the urn. · Usman Khawaja: In a series bereft of any heroes for Australia, the local media trumped him up as the new savior. He didn’t score much but looked confident during the time he spent at the crease. Early days, but he did look a competitive long term replacement for Ponting. · Michael Clarke: A poor series with the bat and a poor start to his captaincy…nothing went right for Pup. From his early days, he was earmarked as a future Australian captain, but when the moment arrived, it was bitter-sweet. Clarke’s highest score in five matches was 80, whereas his opposite number got more runs in one innings than Clarke got throughout the whole series. Tremendously unpopular at home, he needs to find his inner steel if he wants to keep his spot in the team, let alone the captaincy. · Michael Hussey: His place in doubt at the start of the series, it is inconceivable how Australia would have fared if he had been dropped. 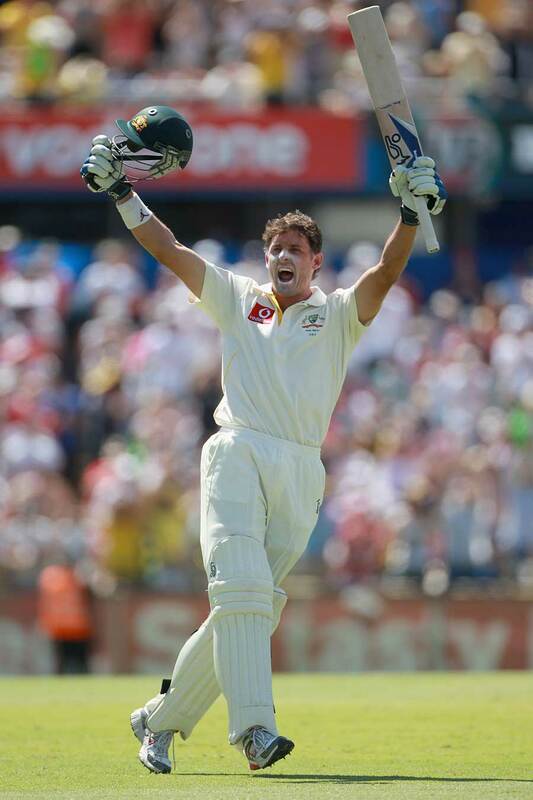 He scored 570 runs at an average of just over 63 with two centuries, the best being his 195 at the Gabba. He was positive with his stroke play, ran well between the wickets, and fielded well too – none of which can be said about the rest of his team-mates. He faded towards the end of the series, but he was perhaps the only player to come out of the 2010/11 Ashes, relatively unscathed. · Marcus North: Biggest contribution was taking the solitary wicket in England’s 2nd innings at the Gabba, and thereby preventing total humiliation. The less said about his batting in the two tests he played, the better. · Steven Smith: Nobody believed Smith was a number 6 Test batsman, and Smith batted like he didn’t believe it either. Rightly demoted to number 7, he scored a fighting unbeaten 50 at the SCG in the 2nd innings, but he is still not the complete product in Test cricket. The less said about his bowling, the better. · Brad Haddin: One of three Australian batsmen who seemed to be in good touch. His best moment was scoring a scintillating century at the Gabba, but for the rest of the series, he was asked to rescue the batting time and again in the company of Hussey, which was asking too much against the likes of Anderson and co. As a keeper, he was given a thorough working over by his own bowlers who tested his agility by spraying the ball on both sides of the wicket. The Australian selectors rewarded him for his contributions with the vice captaincy for the final Test. · Mitchell Johnson: One good match at Perth gave Australia hope. Since then, he duly returned to bowling rubbish while remaining as one of the few competent batsmen in the line-up. · Peter Siddle: A fiery hat-trick on the opening day of the Ashes set the bar high, and he never reached it again for the remainder of the series. The only bowler to play in all 5 tests, he had sporadic moments under the sun, with bat and ball. · Ryan Harris: A 6 wicket haul in the 2nd innings at Perth, reignited Aussie hopes, that he and Johnson had regained the spark; sadly, that was the highest point of his series, which was cut short by injury at Melbourne. Statistically, he was better than Anderson in terms of bowling average and strike rate, but he was not even half as effective. · Ben Hilfenhaus: A terrible series for the German airbender, of whom much was expected. It was so bad, that Hilfy taking wickets seemed to be like blink-and-you’ll-miss-it moments. An entertaining innings in the first innings at Sydney was a rare bright spot for him. · Doug Bollinger, Xavier Doherty, Michael Beer: A forgettable return and two forgettable debuts. Gone are the days, when an Aussie player could just walk into the team and straightaway take the world by surprise. 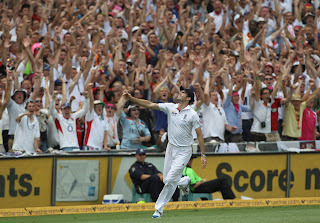 · Andrew Strauss: He had a middling Test series, but unlike the opposition batsmen, he got the runs when it mattered. He kickstarted a summer of runs at the Gabba, after which his opening partner took over. His captaincy was never considered the brightest, but given the players at his disposal, and the opposition’s frame of mind, it was never going to be a tough challenge. Still, the distinction of joining a select band of English captains to win the Ashes at home and in Australia will be something to be proud of. · Alastair Cook: If one had picked Cook to be the Man of the Series before the Brisbane test, there would have been nothing wrong in considering him to be a lunatic. Like Hussey, there were a lot of questions asked about his place in the side and Andy Flower backed Cook to respond to his critics; and boy, did he respond! 766 runs at an average of 127.66 and a high score of 235 later, there were actual comparisons with Wally Hammond! Australia did not know what hit them, and that is because Cook did not destroy the attack, but instead buried them under an avalanche of runs, which he accumulated steadily and in an almost inevitable manner. Of course, the real challenge will be against better opposition and in tougher conditions, but for now, he deserves all the credit for a historic Ashes victory, of which he was the main catalyst. 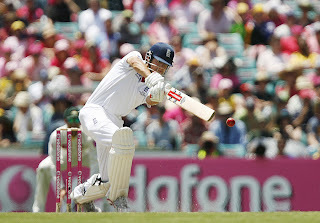 · Jonathan Trott: His love affair with the Aussie bowling continues after that brilliant debut century in the last Ashes. As dour and obdurate as they come, he was also consistent and didn’t really have any weakness for the opposition to pinpoint. The end result: 445 runs at an average of 89 and a high score of 189. Like Cook, bigger and tougher challenges await. · Kevin Pietersen: A brilliant double century at Adelaide aside, KP didn’t set the Ashes alight. Perhaps, he was slightly miffed at all the attention on Cook and Anderson; upon retaining the Ashes, he credited himself for the victory, which he claimed was made possible by his abdication of the captaincy and demand for sacking of Peter Moores as coach. Some things never change. · Paul Collingwood: He may not have contributed to the Ashes victory, but after his last tour of Australia, which brought him plenty of runs but no wins – he won’t be complaining. He brought the curtains down on a fantastic Test career after selflessly making way for younger players, and what better way than to sign off with an historic victory against your archrivals? · Ian Bell: This was a series to savor for Bell. After a horrid Ashes debut in 2005 and getting dubbed as the Shermanator, Bell has never really earned respect from the Aussies – until now. Easily the most confident player from either side, he batted with a freedom and maturity which took many seasoned observers by surprise. He finally got his first Ashes century at the SCG, and no doubt that there are many more to come. 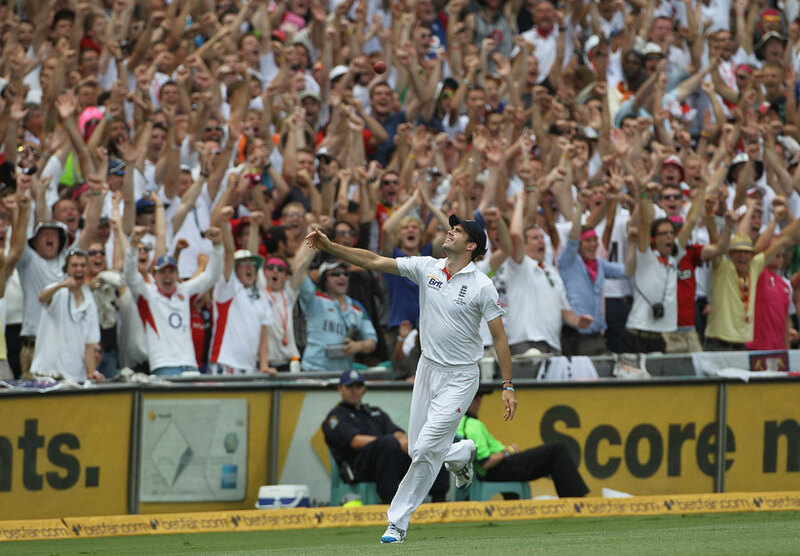 · Matt Prior: He ticked all the boxes in this Ashes. Took an incredible 23 catches in the entire series which says as much about his keeping as it does about the bowlers. He scored runs when his team needed to. He was a constant source of encouragement for the bowlers, and it also helps when your decisions for referrals are usually spot on. · Graeme Swann: He didn’t make a big impact as he was expected to, but like the remainder of his mates, he always seemed to come through in the big moments. Took a solitary 5 wicket haul, but stats don’t tell the story of the control he exerted on the batsmen which allowed the pacers to prosper. And, by the way, his video diaries were as big an Ashes attraction as the cricket was. · Tim Bresnan: He was not a first choice bowler when the Ashes began, but by the end of it, one was wondering how much better England could have played, if he had figured in the first half of the series. Coming in as a replacement for Finn, he stole the thunder with solid performances at Melbourne and Sydney. A pleasant conundrum awaits when Broad and Onions return to the side. · Steven Finn: For the first half of the series, he was the leading wicket taker, with a penchant for picking wickets against the run of play. Ultimately, his lack of economy with the ball resulted in him being ‘rested’ for the remainder of the series, but he is a genuine long term prospect for England. · Chris Tremlett: Like Bresnan, he was not a first choice bowler in the playing eleven; but Broad’s injury proved to be a boon for England, who discovered to their delight, a revitalized Tremlett, who proved to be too much to handle for Australia, Hughes in particular. Played a huge role in the retaining of the Ashes at Melbourne and had the honor of picking the final wicket of the series at Syney. · James Anderson: Arguably, the star of the series. Cook may have got the runs and bagged the man of the series award, but if it wasn’t for Anderson’s guile and swing which resulted in 24 wickets despite not bagging a 5 wicket haul, the series win might not have been so dominant. He exorcised the demons of his last Ashes visit here, and he did it in style. Adelaide might have been his best moment, but unlike Johnson who couldn’t replicate his Perth heroics on other grounds, Anderson was effective wherever he went. He might have missed Broad at Perth, but in the company of Tremlett and Bresnan, he ruthlessly hunted down the Aussie batsmen at Melbourne and Sydney, and helped England win the Ashes in a crushing manner. Along with Steyn, he has become one of the premier exponents of swing in International cricket and his contest with the Indian batsmen in home conditions later this year is something to look forward to. · Stuart Broad: Will be remembered in this Ashes as Siddle’s hat-trick victim at the Gabba on opening day. He picked two solitary wickets at an average of over 80, in the two tests he played; but he was unfortunate to miss out on the final celebrations, as he was a product of the meticulous planning and preparation which resulted in the Ashes victory. He is part of a good stable of English fast bowlers and his return to the Test side will be complicated by the bright performances of Bresnan and Tremlett; it is a good problem to have considering the situation in the Aussie camp. Overall, the series win was a historic achievement by England, who won in Australia after 24 years. The quality of cricket may not have been of the same standard as the one that was being played in South Africa, but England are hardly to blame for that. They planned for the Ashes in advance, and ruthlessly demolished a hapless Australia and possibly ended the careers of a few of their players. They are well on their way to throwing a challenge for the top rank, as they have a team for the future. The same cannot be said of Australia, whose phase of transition seems to be never ending. Clarke has plenty on his plate, without worrying about the captaincy. It will require a tremendous effort by all concerned with Australian cricket, if they are to start winning games again. Otherwise, one will have to start settling for scorelines which the Ashes in the 90s used to throw up; except that Australia will be on the receiving end for the forseeable future. He's [Michael Clarke] on Twitter saying sorry for not walking? Mate if he did that in our side there'd be hell to pay. AB would chuck his Twitter box off the balcony or whatever it is. Sorry for not walking? Jesus Christ man!